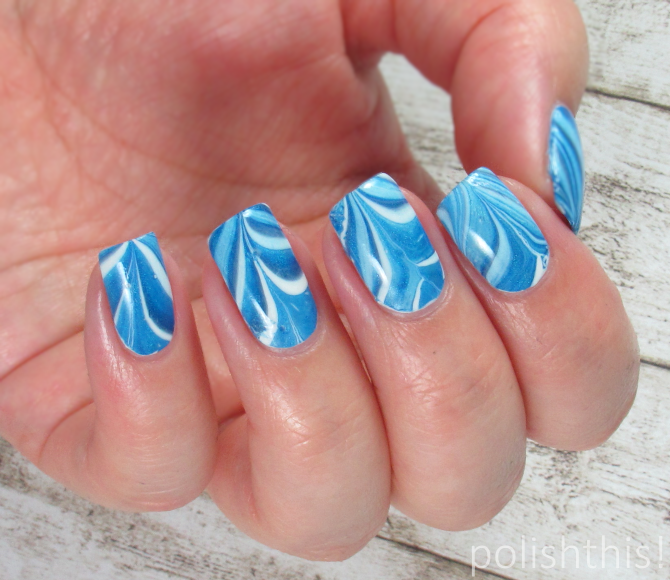 FIN Water Marble - Polish This! Actually, I haven't done water marbling in general for quite a while. 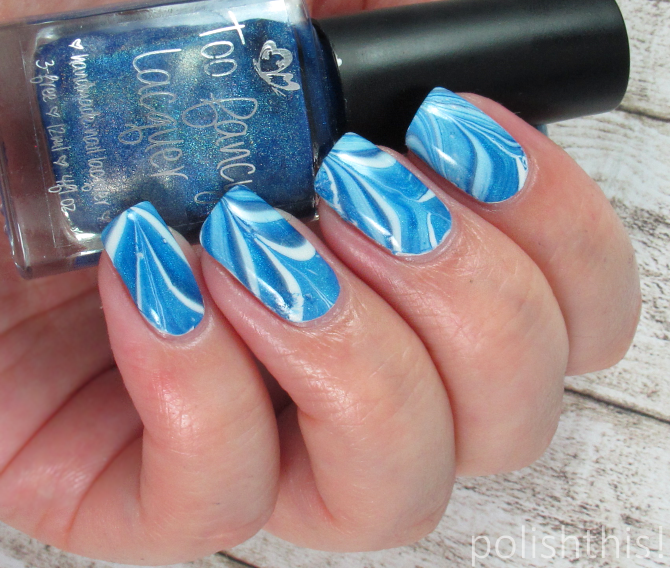 I couldn't even remember when, so I had to check the blog and it seems that my previous water marble mani was done over a year ago! Time truly flies, I would have never guessed it was such a long time ago. 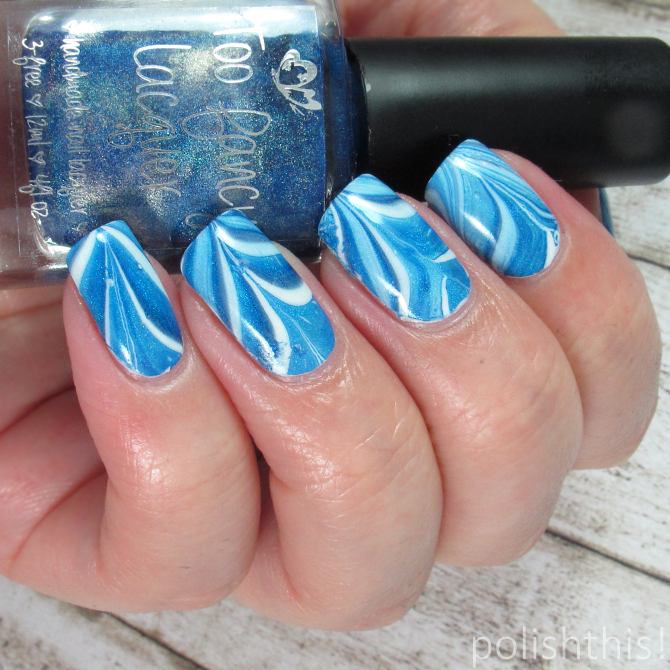 So it was definitely about time to do some water marbling nail art! I used simply one coat of Gina Tricot White as my base color. Then I did the water marbling with the same GT White and Too Fancy Lacquer Set Fire to the Rain. My water marbling skills were a bit rusty, but I still really liked the look. It was great also, because it's not really too obvious Finland manicure, but you can still get the reference quite easy. Did you guys watch the ice hockey world championships?